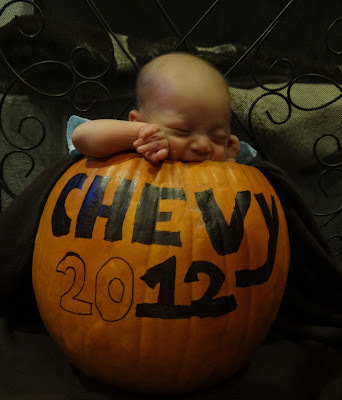 Halloween and all the preparation was fun this year with our new addition to the family, baby Chevy. 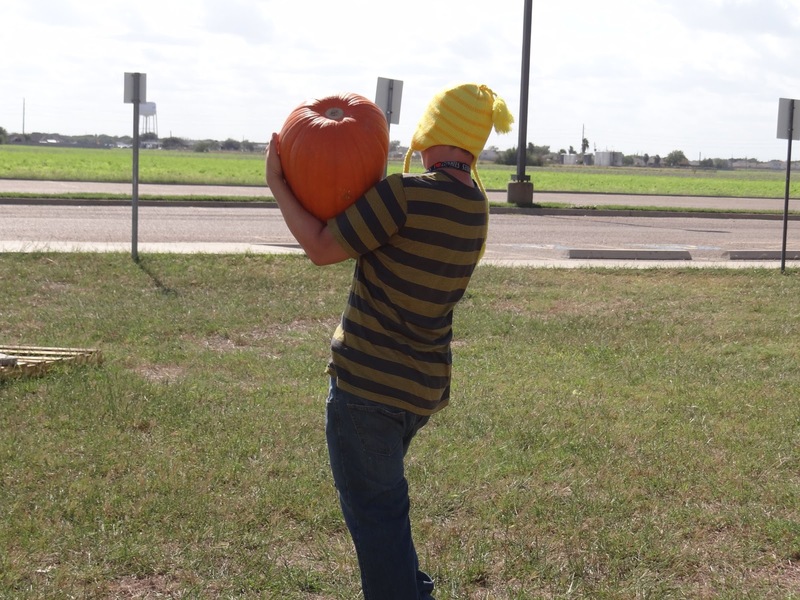 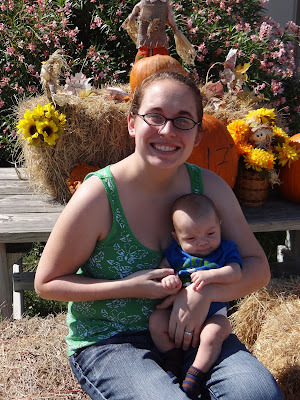 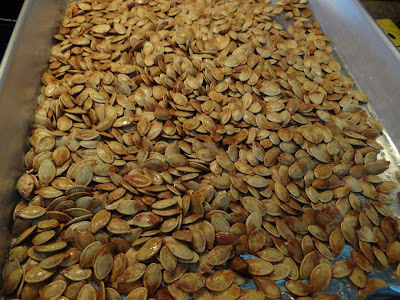 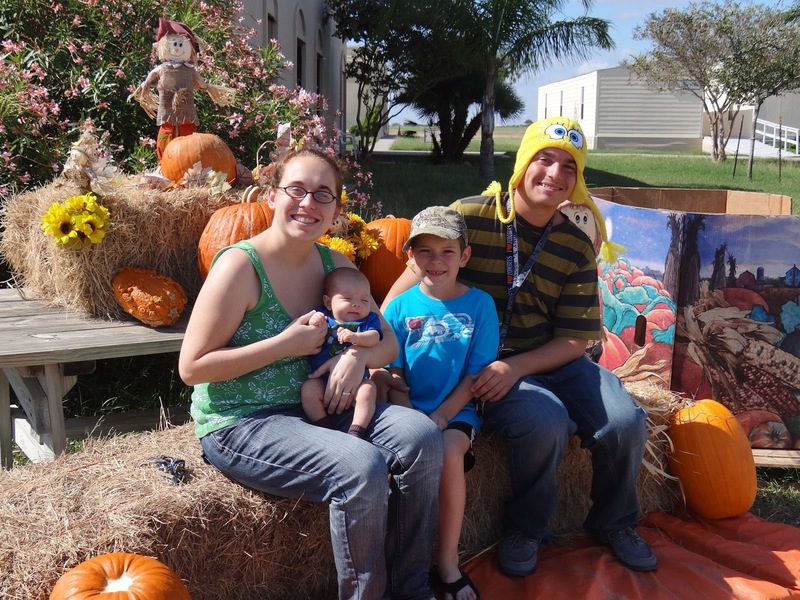 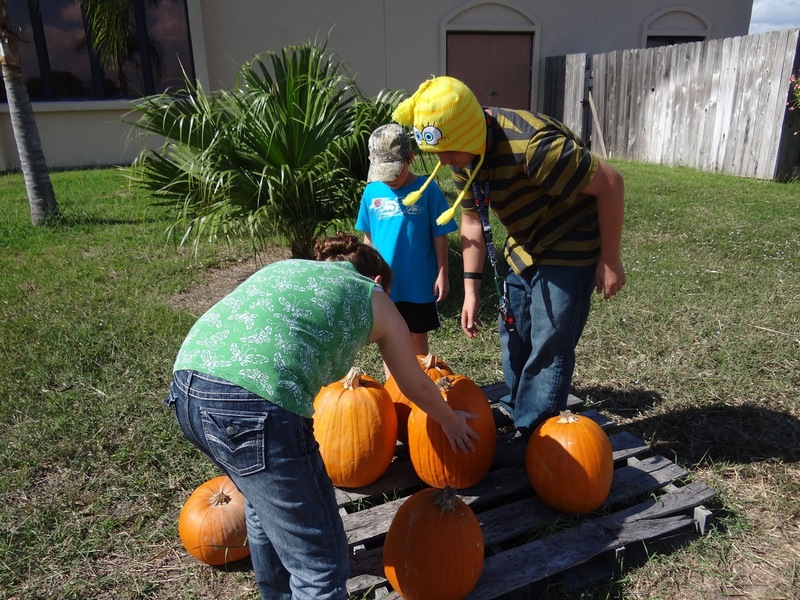 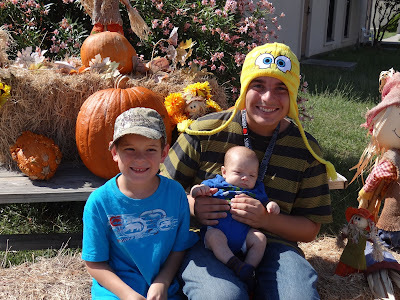 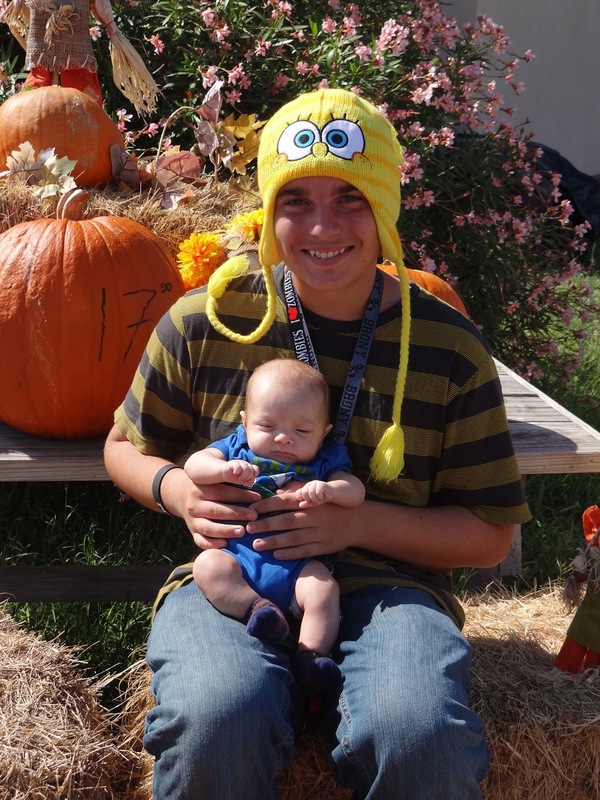 Every trip to the pumpkin patch has to come complete with a photo session. 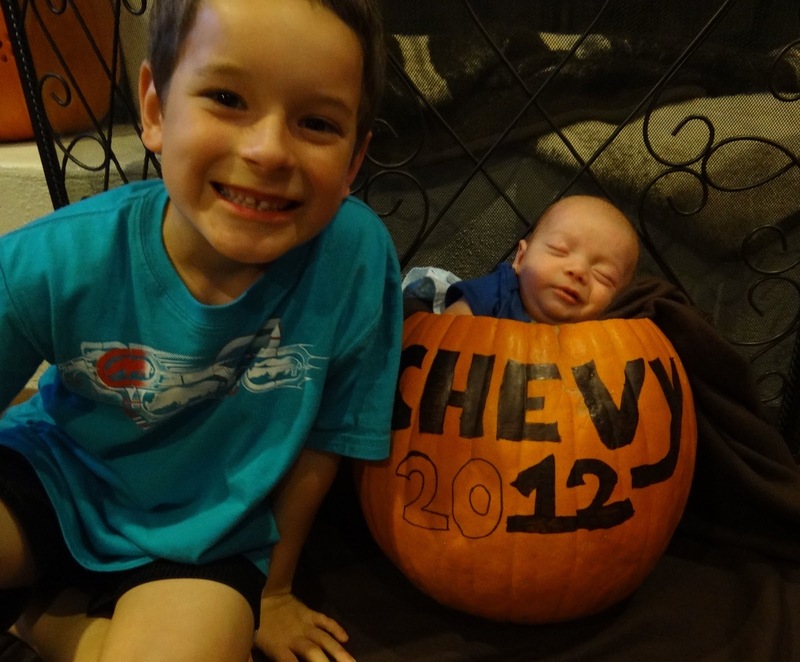 Back at home lead to pumpkin carving. 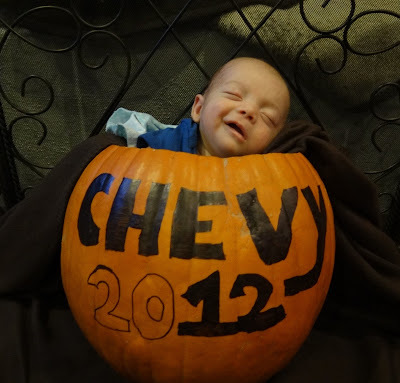 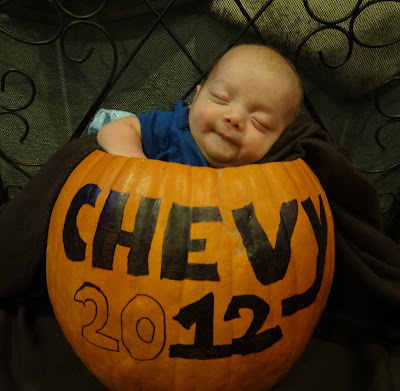 We rounded out the day with more pictures of baby Chevy IN his pumpkin. 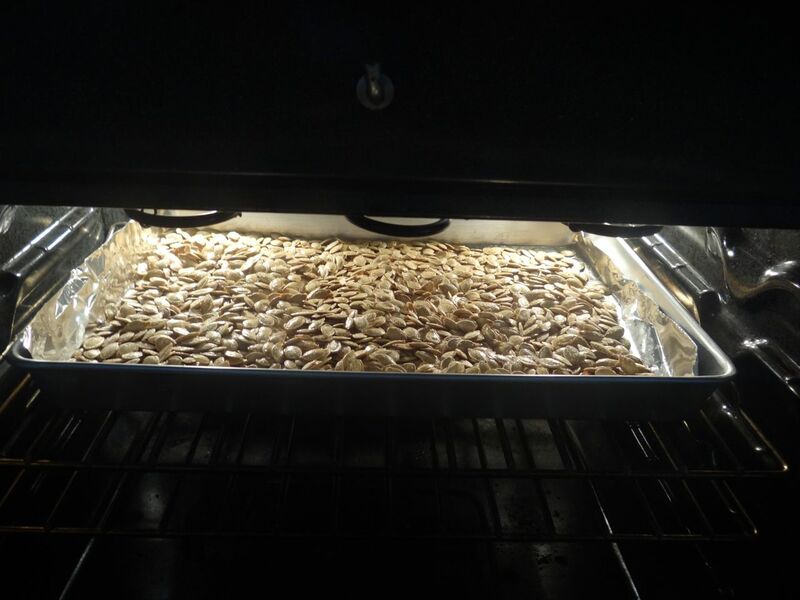 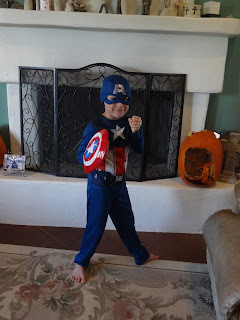 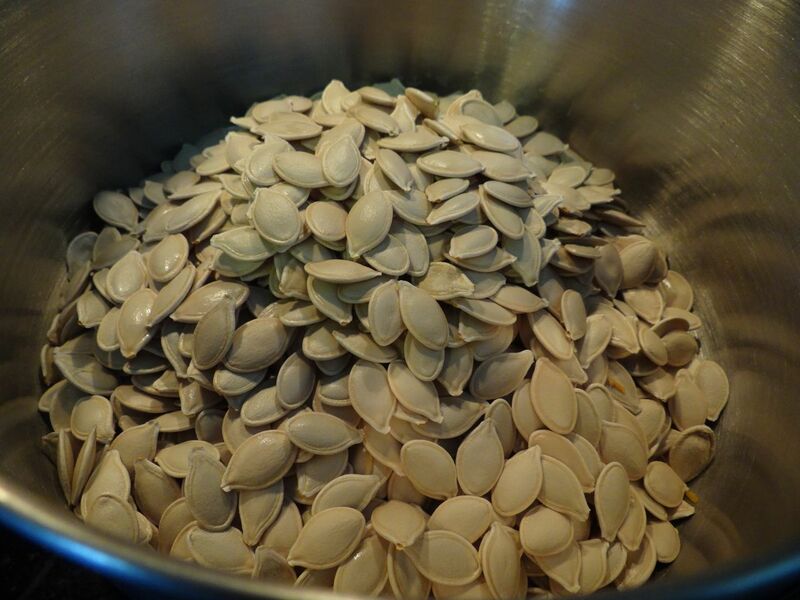 The final pictures were from Halloween. Caleb posing for pictures at home and then trick-or-treating with friends.